A hotel is an establishment that provides accommodations, meals, events, and other types of services for travelers and tourists. Hotels are booming as more and more people find themselves traveling to all corners of the world and find themselves in need of a place to stay. 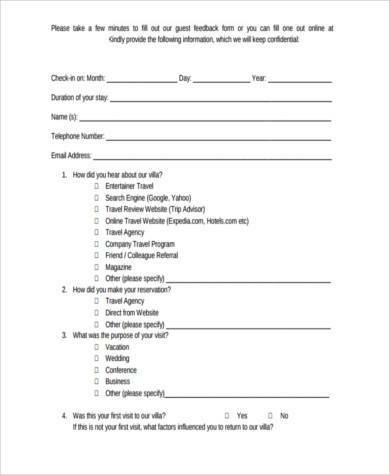 However, hotel owners and managers need to know if their guests are having a comfortable and relaxing stay. 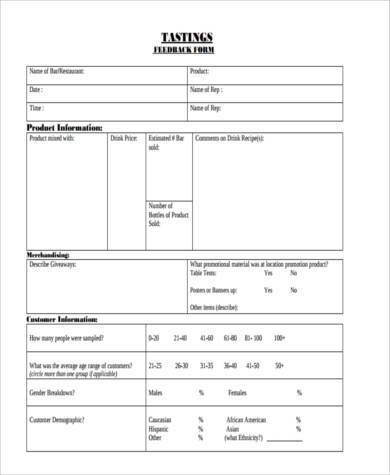 Hotel Feedback Forms help hotels figure that out by allowing them to ask evaluations regarding their services from their guests. 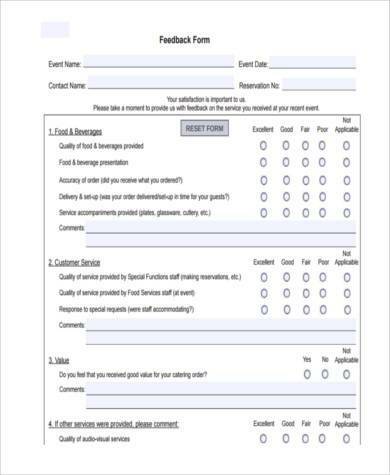 Event Feedback Forms – These are for special events that transpire in the hotel and which customers partake in. 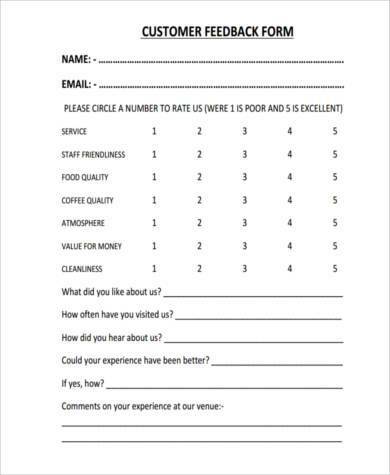 Hotel Food Feedback Forms – These are specifically for the type of food that the hotel caters to their guests. 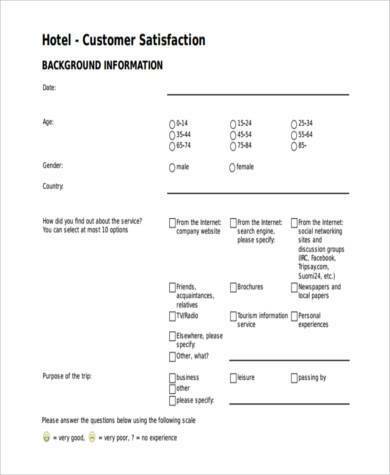 Hotel Guest and Customer Feedback Forms – Specifically for the customers and guests of the hotel; these are for them to evaluate and comment on any aspect of the hotel. 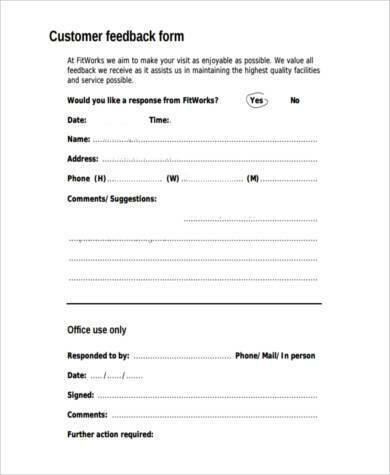 Hotel Stay Feedback Forms – These are for customers who wish to comment on their stay, whether they enjoyed it or not. 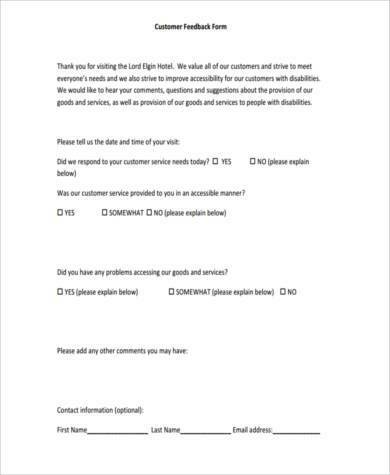 Hotel Service Feedback Forms – These are for specific services such as cleaning or room service that customers think the hotel should improve on. 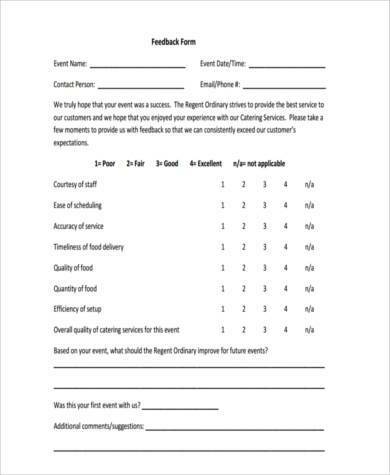 Hotels can keep it simple for their guests by handing out easy and applicable Hotel Feedback Forms in PDF format. Potential guests usually share their experiences about their hotel stays on the internet or to anyone they know to either warn others of bad service or recommend a place to stay. If they share only negative comments about the hotel, then it would almost always mean the loss of potential customers and could end up hurting the hotel business. This is why it’s important for hotel owners to know what aspects they can improve on to make sure that their guests are satisfied. In this world today, where anyone and everyone’s a critic and can freely share their opinions, where businesses could either live or die depending on how many stars they have or how they’re rated in an online review, hotel owners should make controlling their reputation a top priority. Gathering the important feedback from guests and distributing it intelligently across the staff will increase the hotel’s visibility across social media, as well as ensure their stay in the business.